After the pot is finished being worked upon it is left to dry naturally. There is shrinkage to which is generally 4% to 10%. When they are quite dry, their bisque firing is done in kilns that are heated by burning wood, coal, gas or by electricity. 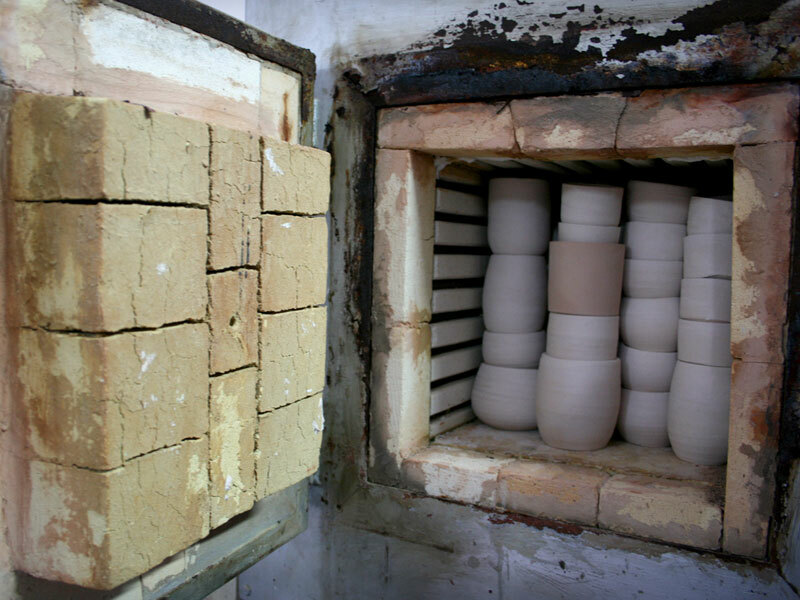 Modern kilns powered by gas or electricity are cleaner, more easily controlled and often allow shorter firing cycles. 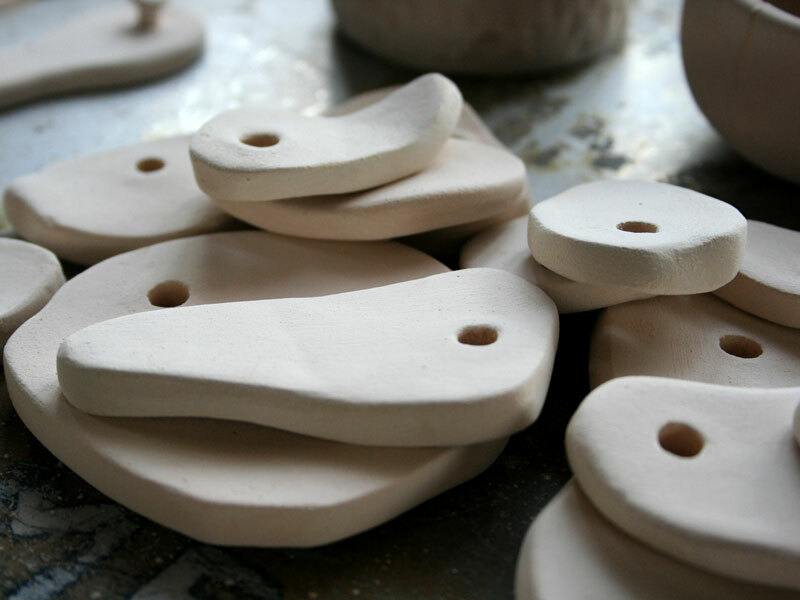 Bisque firing is the first time the pots go through high temperature heating. It is done in order to vitrify the clay pots enough that they won’t be harmed when glazes are applied, but not vitrified to such an extent that the glaze won’t adhere correctly. A very slow temperature rise is critical. 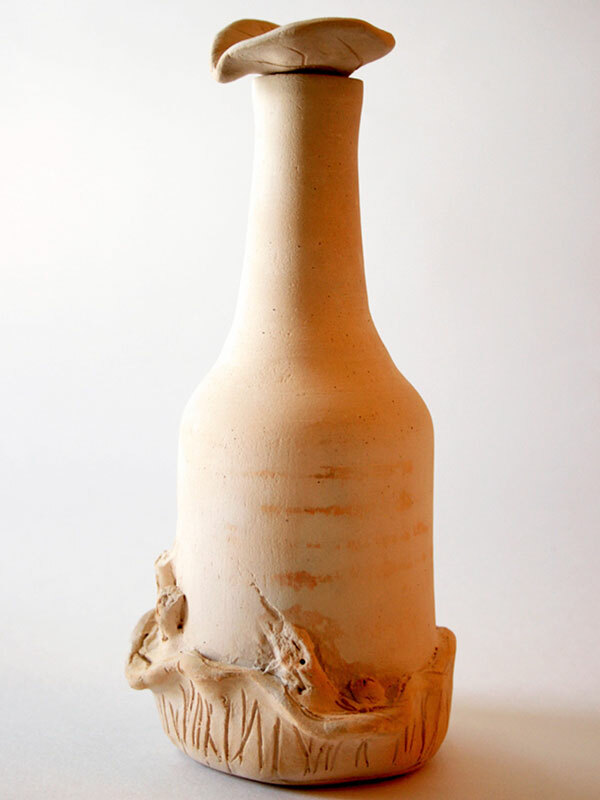 If heated too quickly, the water will turn into steam while inside the clay body, causing the clay to burst. 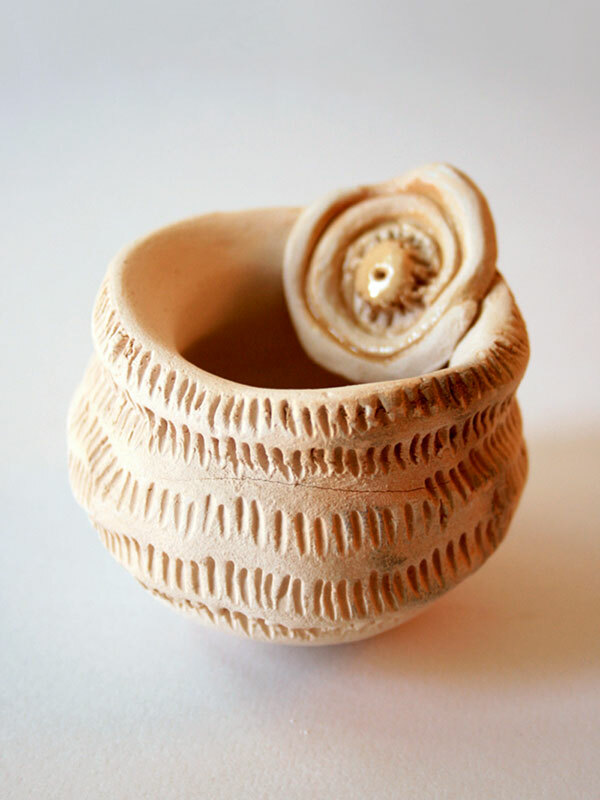 During the beginning of the bisque firing, the last of the atmospheric water is driven out of the clay. When the kiln reaches about 350 °C, the chemically bonded water begins to be driven off. 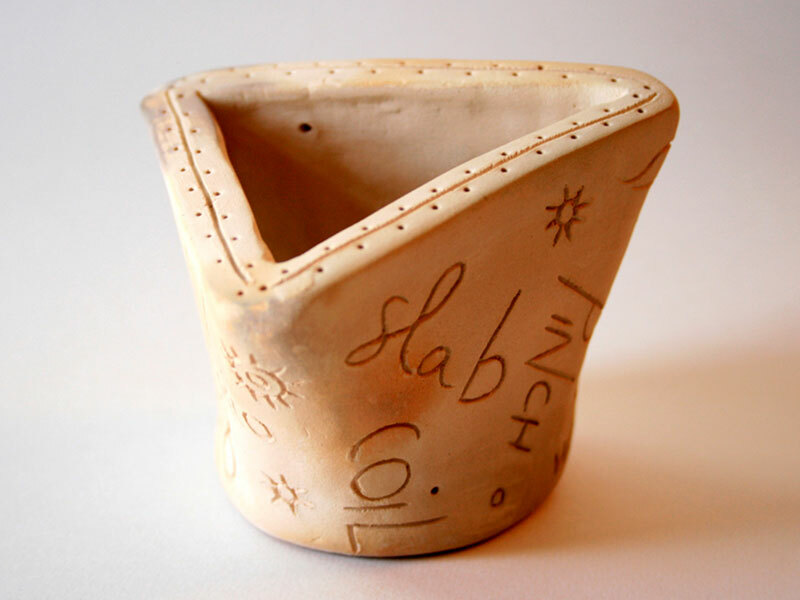 By the time it reaches 500 °C, the clay becomes completely dehydrated. At this point, the clay is changed forever (now a ceramic). The bisque firing continues until the kiln reaches about 850-900 °C. 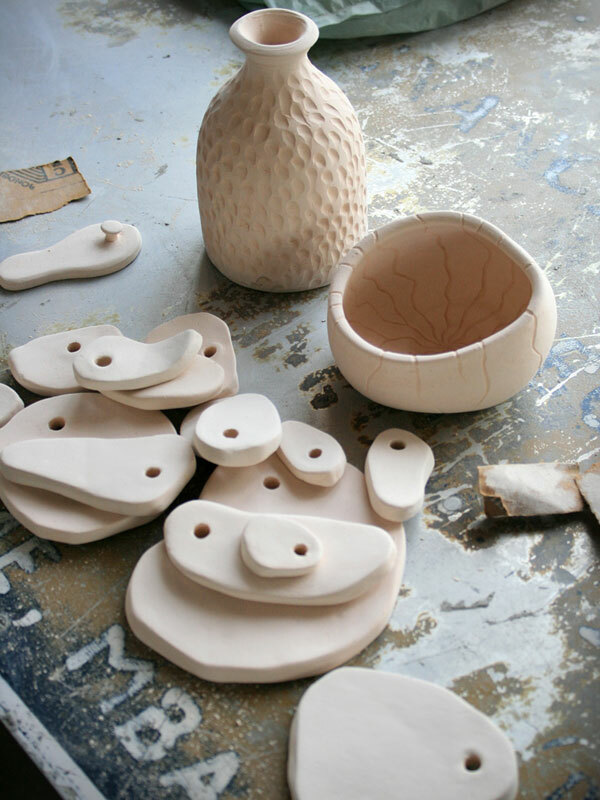 At this temperature, the pots are sintered, made less fragile while still porous enough to accept the application of glazes. 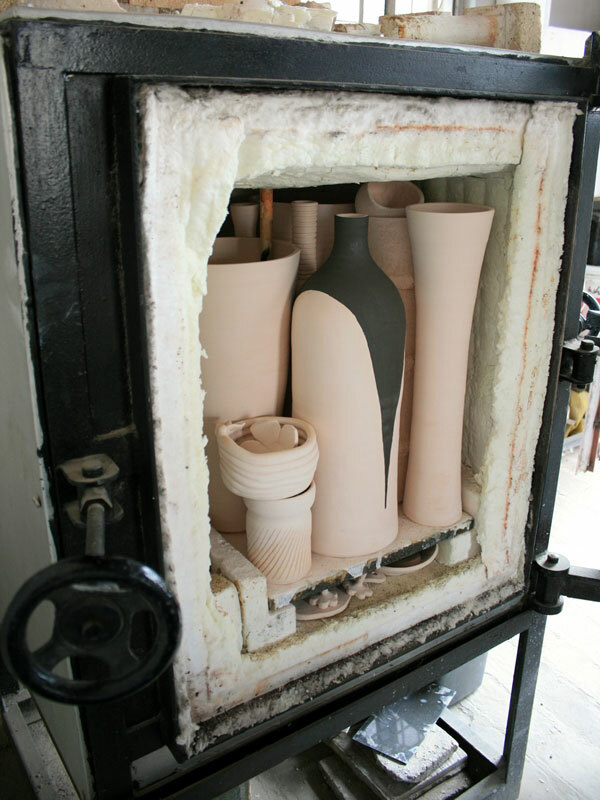 Once the desired temperature has been reached, the kiln is turned off and allowed to cool down. 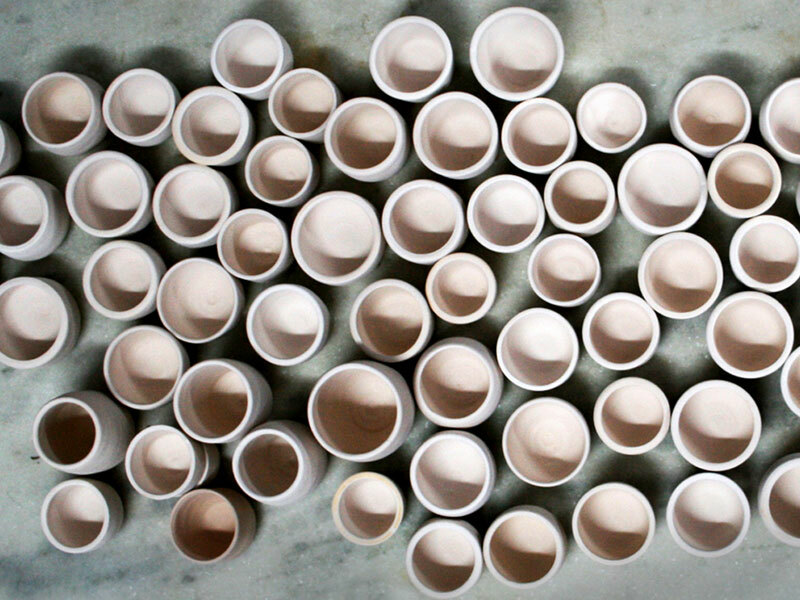 Bisque firing pots is actually quite important process. 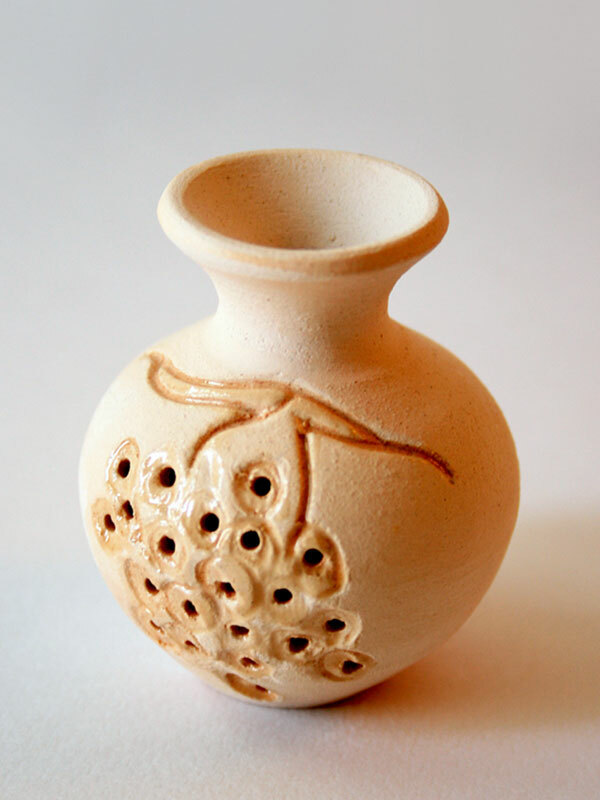 This allows the potter to do much more decorative work with stains, under-glazes and glazes with a greatly reduced risk of the pot being damaged or exploding during glaze firing.